If you are a football fan and are looking for a wonderful experience with fantasy football, then it is quite likely that you will find the next few lines interesting and informative. Though there are many such fantasy football options available, there are reasons to believe that choosing EPLFantasy would certainly be a smart choice. This is because it is extremely popular and it has stood the test of time. We will try and have a look at the various features of this fantasy football league and then draw a conclusion as to why it could be a smart choice. To begin with, the best thing about EPL Fantasy is that it is free to join and start a team. Further, those, who have been into it have found that private leagues are quite easy to set up. It is possible to enter multiple private leagues with a single team. Apart from the above, there are many other reasons which also go a long way in making it quite different from many other such fantasy football options. One more reason why EPLFantasy is considered so very different is that it offers fluctuating player values. This goes a long way in improving the overall market strategy. Further, is has something known as squad system which comes with automatic substitutions. This helps the casual players to be in touch whenever needed. Further, it offers a large amount of statistical support for those who are keen on receiving it. It also has a wonderful live score update feature. Further, it comes with a free mid-season national knockout cup competition which could help in making the entire fantasy league that much more exciting. It offers the participants a new free head to head league. Multi entrant managers will have nothing interesting or encouraging, and hence they are always not welcome here. There are a few downsides too which are worth looking at. It does not offer cash prizes, and this is a big dampener for those, who want to make some fast buck by being a part of the EPLFantasy competition and betting. The bonus point system according to a few players is quite confusing and perhaps even frustrating. Since there is a huge wealth of information discovering gems becomes quite easy. The double points systems would certainly call for hands-on management. The levels of team management could lead to some divide between hands-on manager and casual managers. You will have to build a squad of 15 with a budget of 100 million. Out of the 15, you will have to pick up the playing 11 using the various formulations and choices. You are eligible for one transfer each week. Additional, weekly transfers are permitted, but it would cost you 4 points from your total. You are also allowed a single chance to play a wildcard, and you also could make the unlimited transfer for an entire game week, and this will not entail any additional cost. You can change your lineup each week. However, in your absence, the game will go into auto lineup mode and formation. It will help ensure for maximization of players which appear for you each game week. hey will get 3 points for any assists that they contribute. Forwards are entitled to 4 points for a goal, midfielders will get 5 and defenders, and goalkeepers will get 6 points each. When the sheet is clean, the defenders and goalkeepers will get 4 points each and midfielders a single point. There are also additional points which teams are eligible. For example, the top three players on the pitch can get additional points. What the points haul for the capital is doubled when compared to the previous week. What Does the Game Hold for You? There is no doubt that the game hosted by Premier League is a gem. It is one of the few games, which have its well-designed rules and systems. It also considers the various requirements which are a part of any quality Fantasy Football Game. Whether it is differentiation in points scoring when goals take place or when it comes to wildcard inclusion there is no doubt that it allows managers to start from scratch. It has all been done with the objective of keeping overall balance of the game. 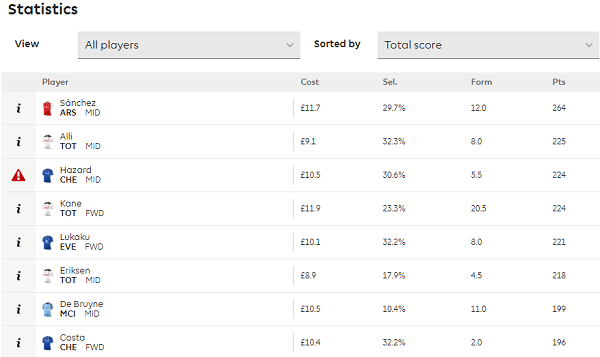 Further, there is big support available to managers by way of website statistics, live scoring update, injury news and these are all top class and are compared to the best in this sport. Therefore, in fine, there is no denying the fact that the fantasy football experience is something amazing and this has resulted in registration going far beyond the million marks. It would be pertinent to mention here that it EPLFantasy works on a squad system and each manager has 15 players from which they can choose eleven for each game week. There are a few formations which are made available, and every week you will be allowed a single transfer, and you will be able to tinker with it as much as you want. Hence, when all the above factors are considered, there are quite a few facts which come to the fore. Though there could be some drawbacks regarding scoring patterns and other such things when one looks at the big picture, there are reasons to believe, that they offer some of the best ways and means of enjoyment. Those, who try it once have reasons to come back repeatedly, and many of them would be willing to be there for the long haul because of the sheer excitement and enjoyments associated with it.